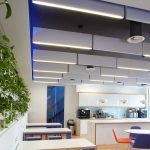 The café and communal areas at Peter Brett Associates (PBA) Reading headquarters have recently undergone an extensive refurbishment. As part of the project, the space has a new lighting scheme featuring BLADE from Spectral Lighting. The new luminaires have helped transform the area into an inviting and attractive space for the company’s 240 members of staff. 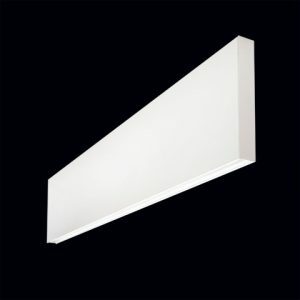 Furthermore, as an LED luminaire, BLADE helps reduce the energy use of the building and its suspended board design seamlessly integrates with the acoustic ceiling. PBA moved into its newly-refurbished 25,000ft² HQ earlier this year following extensive design work by global architecture and design practice Broadway Malyan. 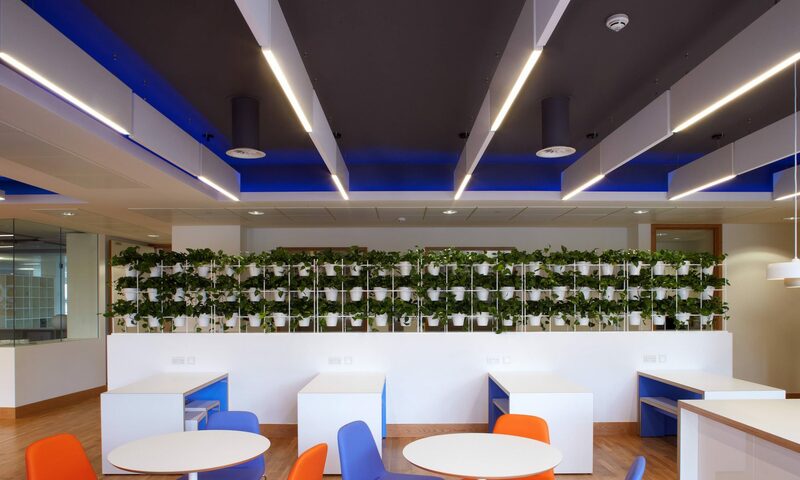 Having partnered with PBA on multiple projects in the UK and overseas, Broadway Malyan has completed a flexible, motivational and sustainable contemporary workplace for PBAs HQ team. The design features a new ‘front of house’ space for hosting events and makes a stronger connection between the building and nearby River Thames – while also making more of the views of the River and adjacent landscaped gardens. The building’s original lighting scheme was outdated, inefficient and produced a poor quality of light. 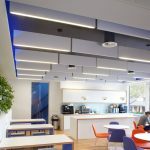 The installation of the high performance BLADE LED panels as an alternative to traditional acoustic boards has added a striking visual element while dramatically improving the energy performance rating of the building from G to B, and in the process, earning it a BREEAM excellent rating. Available in a range of RAL colours and finishes, BLADE system is manufactured from a sound absorbing material that will complement all types of interior design. The fitting is easily installed and comes with a suspension kit to allow custom configuration to suit each building and lighting scheme. The luminaire version blends in seamlessly with the matching acoustic panels and removes any concerns of shadowing in the lighting design. The opening ceremony for the newly refurbished Reading office was conducted by the Right Worshipful the Mayor of Reading, Councillor Marian Livingston.